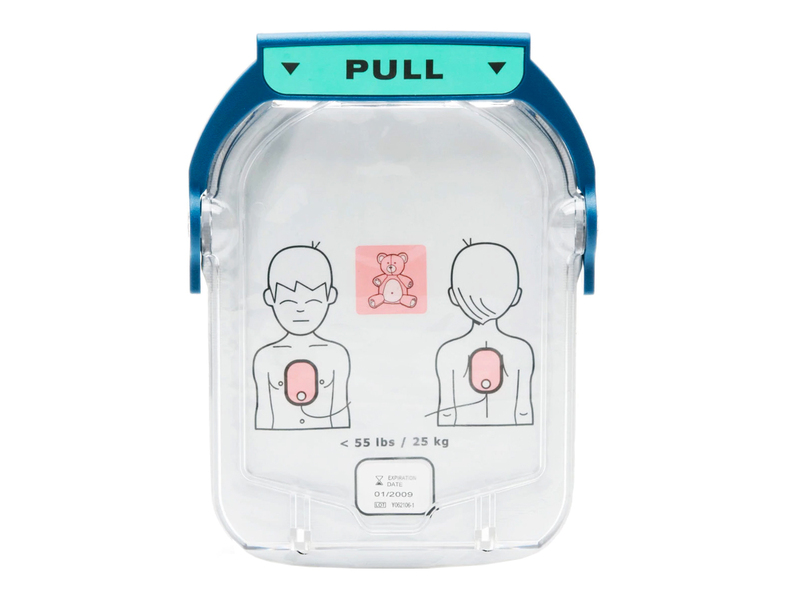 Children under 8 years of age or weighing less than 55 pounds, including infants, should be treated using HeartStart Infant/Child SMART Pads. 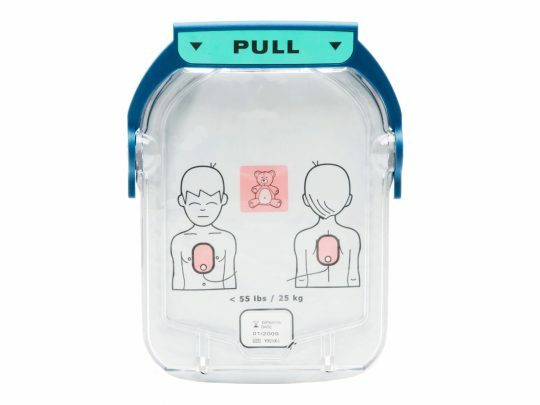 These pads instruct the defibrillator to provide voice instructions appropriate for a pediatric patient, and to reduce the energy of its shock. The Infant/Child Pads cartridge is marked with an indication of patient weight and with a teddy bear icon for easy identification. Purchase of this product requires a prescription.